When did you first become interested in vintage clothing? 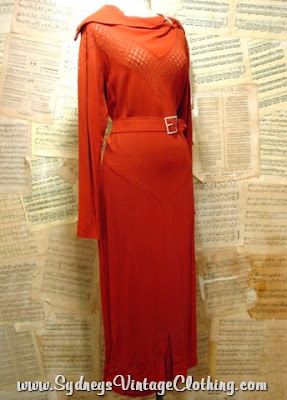 Do you remember your first piece of vintage? A little over nine years ago while I was out shopping a local friend of mine that sold on Ebay asked me, "Have you seen what vintage clothing is selling for on Ebay these days?" At the present time I specialized in selling antique Blue Ridge China on Ebay. I thought to myself, what the heck is vintage clothing? That evening I can remember scouring Ebay closed auctions and thinking wow that sure would be easier to ship than china! A few months later I bought my first piece, well let's be honest here, pieces. Do I remember the first piece, are you kidding me? I am afraid I do not! I do remember that I started with a foyer closet of inventory, and now there is in the 8000 – 10,000 pieces! Tell me a little about Sydney's. What made you decide to take the leap of turning your love of vintage into a business? To begin with my love of vintage clothing was just a hobby, an extra way of making extra income on the side while my husband had a full time job and the vintage was just extra spending money. While I did do it full time, and had employees, life has a way of dealing lemons sometimes and you just have to make lemonade! So in December of 2006 after my husband lost his job we turned it into a full time family business for survival. I had always said that if I ever lived in a college town I would open a brick and mortar store! In July 2008 the time had come and we relocated to Auburn, AL (War Eagle!) And opened Sydney's Vintage Clothing store. After three years of having the local business we have changed the local name to Sydney's Consignment Boutique offering designer modern clothing with a mix of vintage. Our online store offers nothing but authentic vintage clothing. Selling things that you love is always difficult. What is the most amazing thing you ever had to part with? on! I do have a Henri Bendel and another Ceil Chapman prom dress I will be offering for sale soon. 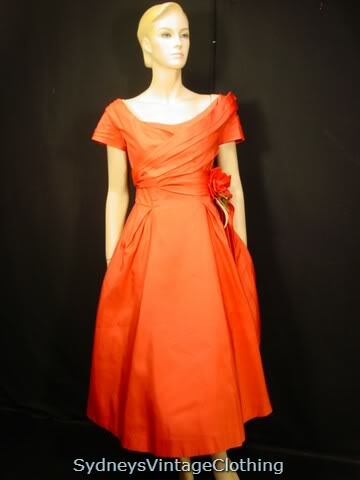 What is your best piece of advice for others who want to get into selling vintage? 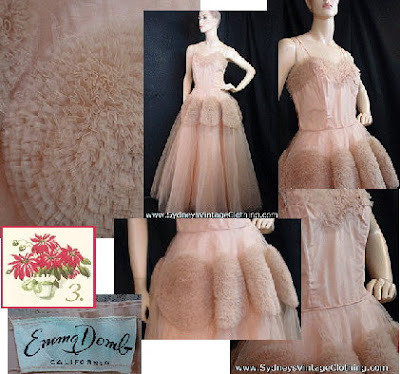 Selling vintage online has its challenges as with selling any product. Know your product! 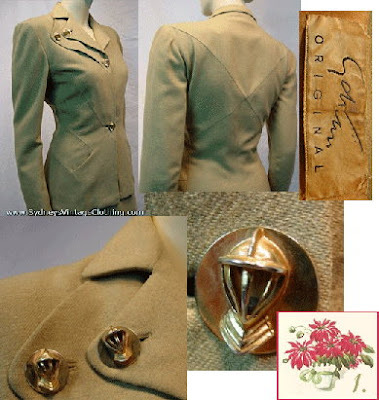 Learn about vintage clothing, the fashion history and the designers. I learned a lot of this simply on my own, but fortunately I had a colleague in the business that came along and taught me some of the history and she shared her knowledge. For whom I will always be forever grateful to her. Where are your favorite places to hunt for vintage clothes and accessories? If I have been asked this question one time over the past decade that I have been buying and selling vintage I have been asked this question 1000 times. 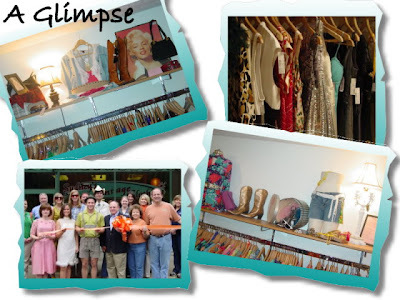 In our Auburn, Al store location when we offered nothing but vintage and no modern clothing, the typical customer would walk in, browse around for a few minutes and usually under 10 minutes of shopping, "Where do you get all of your vintage?" We always tell our customers locally that we have a time machine; we get into every day, and go back into time, pick out a few items and then come back and display those for the day! Well folks, honestly that is one question that I will not give up my sources! Please note, this giveaway is now closed and the winner has been announced. Thank you for your entries! Today, Sydney is giving away a $50 gift certificate to Sydney's Vintage Clothing to one lucky winner! (Please note, the gift certificate cannot be combined with any other offer, previous sale or layaway). The giveaway will end next Saturday and the winner will be chosen at random. You can see more of Sydney on facebook and Twitter. Thank you for reading and thank you to Sydney for the fab giveaway! She has so many beautiful things. I signed up for her newsletter. I follow ad I signed up! Love Sydney's! I just started following you, found you a couple weeks back. Love you're blog! It would be great to win the gift certificate, but it's even better to find another plus sized chicky who's living a vintage life. Love. We have a WINNER! Check your email ladies Thank you for viewing my online store! Looking forward to finding you great vintage goodies! love this blog and dress in last pic is really cute.